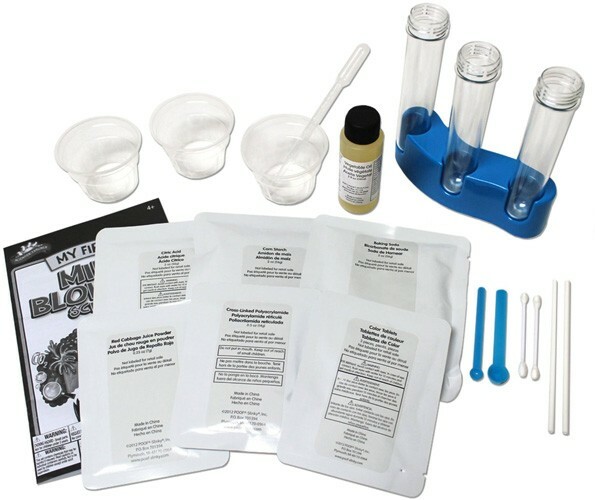 Adults and kids will learn amazing new things about basic and acidic solutions with the Mind Blowing Science Kit. 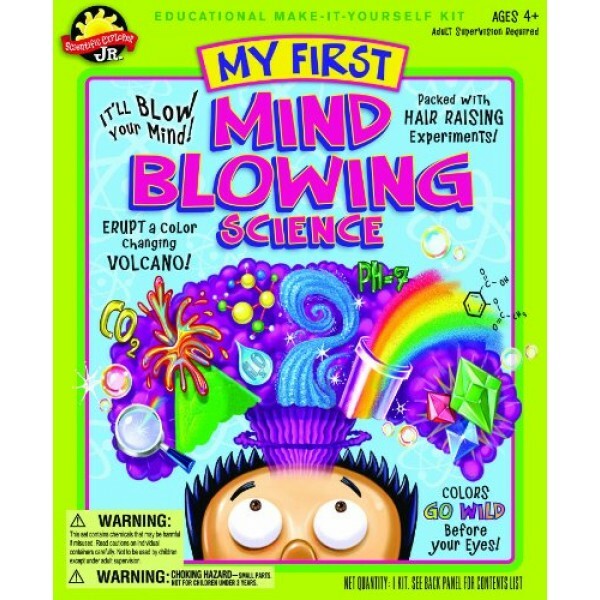 Whether erupting a color-changing volcano, creating a sunset in a test tube, or growing colorful, jiggly crystals, this science kit mixes learning with experimentation in a fun and colorful way for a wide range of ages. 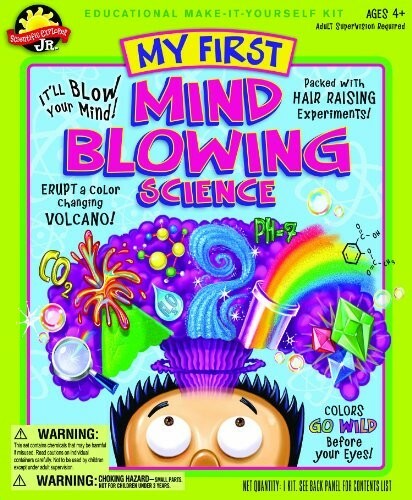 Each of the hands-on activities in the science guide is intended to be performed by a young scientist under adult supervision, although these activities can be adjusted to accommodate a range of ages and capabilities while still maintaining the educational excitement of the original experiments. In addition to providing detailed instructions, the science guide makes it possible for those adults who might not have a background in science, or even any exposure to scientific experimentation, to knowledgeably perform experiments successfully. 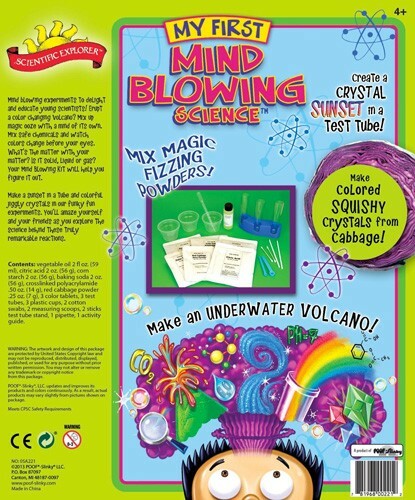 The dynamic, colorful nature of the experiments included in this kit make it great for pleasing a crowd at family gatherings, parties, or science fairs.